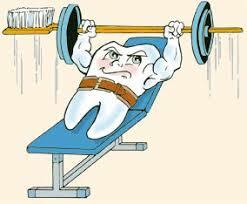 GO TO THE GYM......YOUR GUMS WILL THANK YOU! 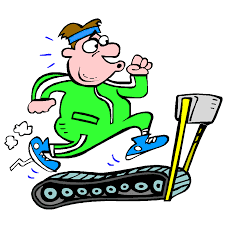 When you’re sweating it out on the treadmill or sidewalk, you’re probably thinking about how all that exercise is going to make you look fitter or help your heart run a bit better. But what if there was another rather unusual benefit? What if going to the gym was also good for your gums? The connection? One expert blames our fat cells. They “produce many chemical signals and hormones, and many of these substances lead to inflammation throughout the body,” says Dr. Terrence Griffin, president of the American Association of Periodontology. 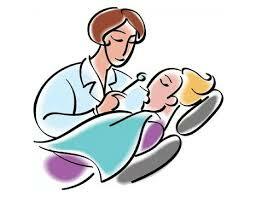 The inflammation, in turn, leads to decreased immunity, making us more susceptible to periodontal diseases, he adds. Fat or any foreign material will trigger or activate inflammatory cells — such as macrophages or neutrophils — and this results in the production of cytokines that will destroy soft and hard tissues, explains Dr. Salomon Amar, a professor of molecular and cell biology at Boston University. Conclusion? Our gums are way more important than we think, says Dr. Griffin. And their state is something that medical care teams should include in their screening processes and management of the disease. “Clinicians should be aware of the role played by obesity in the development of new cases of periodontitis, and individuals who are overweight or obese should pay extra attention to their oral health,” Dr. Amélie Keller and Dr. Jeanett Friis Rohde, independent researchers who’ve studied the link between obesity and oral health, said in an email to OZY. If the fear of diabetes and heart disease doesn’t get you to look after your gums, what will? Today we posted a story on our FB page about the cost of the world's sugary diet on dental care. Here is a tip from the federal government, I submit that this just doesn't take it far enough, sugar and especially added sugar is wreaking havoc with our overall health, not just dental disease. But one small step at a time!!!! 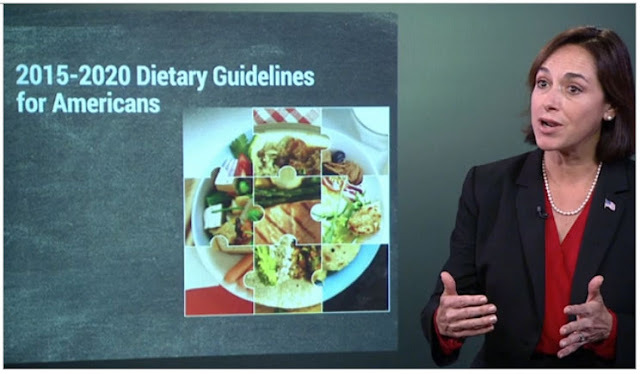 Acting Assistant Secretary of Health Dr. Karen DeSalvo explains the government's new dietary guidelines, which put a 10% limit on daily calories from added sugars. In their 2015-2020 Dietary Guidelines for Americans, the US Department of Health and Human Services (HHS) and Department of Agriculture (USDA) recommend a limit of less than 10% of calories per day from added sugars. This is the first time that the government has suggested a specific limit on sugar consumption. The HHS and USDA define added sugars as sugars and syrups that are added to foods or beverages when they are processed or prepared. They are primarily found in found in soft drinks, candy, pastries, ice cream, and other sweets. Examples include brown sugar, corn syrup, dextrose, fructose, honey, lactose, maple syrup, molasses, nectars, and sucrose. In addition to promoting tooth decay, these sugars add calories without contributing essential nutrients, making it difficult for people to meet nutrient needs while staying within recommended calorie limits. By reducing added sugars in their diet, people also reduce the risk of cardiovascular disease, obesity, type 2 diabetes, and some cancers. Naturally occurring sugars such as those found in milk and fruit would not count toward the 10% recommended limit. Overall, the guidelines suggest more vegetables, whole fruits, whole grains, fat-free or low-fat dairy products, various protein foods like seafood and lean meats, and oils from plants such as canola, corn, olive, and peanut. “What most people don’t know is that even a small shift can make a big difference as you move into a healthy eating pattern. So, moving away from refined grains to whole grain or from sugar-sweetened beverages to unsweetened beverages,” said Acting Assistant Secretary of Health Dr. Karen DeSalvo. The 2015-2020 Dietary Guidelines for Americans are now available. The USDA also offers choosemyplate.gov which helps people find a healthy eating style and maintain it throughout their lifetime. These eating styles should focus on variety, amount, and nutrition while eliminating saturated fat, sodium, and added sugars. We have previously talked about bisphosphonates and their role in treating/preventing osteoporosis and the gender differences between men and women for developing periodontal disease. Here is another article about women being affected by loss of estrogen and how treatment may benefit them in preventing gum disease. Women over the age of 50 who took estrogen for osteoporosis—in which bones become weak and brittle from tissue loss—were 44 percent less likely to have severe periodontitis than women who did not receive the treatment. The lack of estrogen, a natural consequence of menopause, places women at risk of osteoporosis as they age. To counter these effects, some women get prescriptions for estrogen therapy along with supplements of calcium and vitamin D.
While previous studies have investigated the relationship between osteoporosis and tooth loss, few have examined the link between estrogen therapy and periodontitis, a disease that can ultimately lead to tooth loss and destruction of the jaw bone. “These results help confirm the findings of previous studies that suggested that estrogen therapy to prevent osteoporosis could also play a role in the prevention of gum disease,” says Frank Scannapieco, professor of oral biology at the University at Buffalo. Researchers examined nearly 500 postmenopausal women who received service at an osteoporosis diagnosis center in Brazil. Of the 356 women who were diagnosed with osteoporosis, 113 chose to receive estrogen therapy. 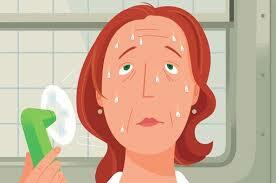 The findings appear in the journal Menopause. Each participant was over the age of 50 and postmenopausal for at least one year. The women were divided into two categories: women who received estrogen therapy for at least six months and those who never received treatment. Other factors such as race, income, and level of education were also recorded.Women receiving osteoporosis treatment had less periodontal probing depth and clinical attachment loss—the amount of space between teeth and surrounding tissue due to bone loss—and less gum bleeding than those who didn’t receive therapy. Further, higher family income and more frequent consultations with a dentist were also associated with a lower prevalence of periodontitis. Despite the evidence of estrogen playing a significant role in maintaining healthy bones, hormone therapy also has been shown to cause adverse effects, such as increasing the risk of heart disease and breast cancer, Scannapieco says.